Apple’s new iPad Pros are here, and if you haven’t already heard, one of the biggest changes is the switch to USB-C (and only USB-C) — unlike Apple’s iPhones, which feature Lightning as their single port. Many people — myself included — have taken the time to rant about how Apple refuses to put USB-C on the iPhone. It’s a decision that would have allowed basically every major Apple device to share a charger with each other and with practically every other major new electronic device released today. It’s the kind of interoperability that has essentially been the core promise of USB-C since it was first introduced. Would it be convenient for Apple to open up future iPhones with USB-C? Obviously. But it would come at a huge cost to Apple, both in money and control over its most important device — neither of which Apple will relinquish easily. The iPhone is simply too critical to Apple’s core business to risk the chaos of USB-C. It’s not acceptable to the company that someone would ever buy a pair of headphones or a charger and have it not work with their iPhone because the cable is bad or the wattage is too low or specs are not right. The iPad, on the other hand, lets Apple be a little more experimental and open. It may still run iOS and be subject to the limits of the walled-off App Store, but USB-C adds a new avenue where hardware and software developers can expand what’s possible. Apple is pitching the iPad as a computer, and USB-C gives it a universal, open hardware port (if not totally free of Apple’s control) for the kinds of professional tools that people have come to expect from computers. 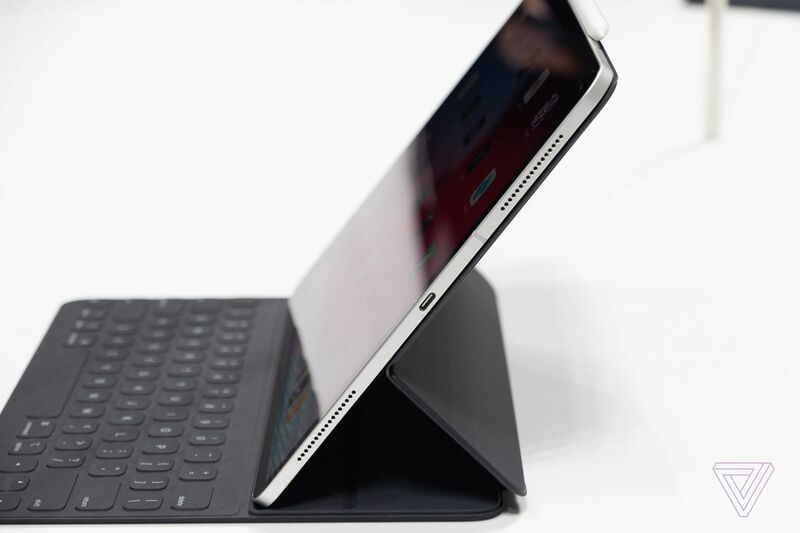 The added complexity of USB-C may drive people away from iPhones, but it could be a boon for the iPad to entice more power users to make the jump. Unfortunately, that leaves consumers in a strange limbo, caught between the closed-off Lighting standard on one side and the confusing, inconsistent world of USB-C on the other. And yes, there are going to be some issues. To start, let’s address the dongle-sized elephant in the room: right now, Apple sells three different classes of computing devices — phone, tablet, and computer — and all three offer different physical connectors to plug in a pair of headphones. 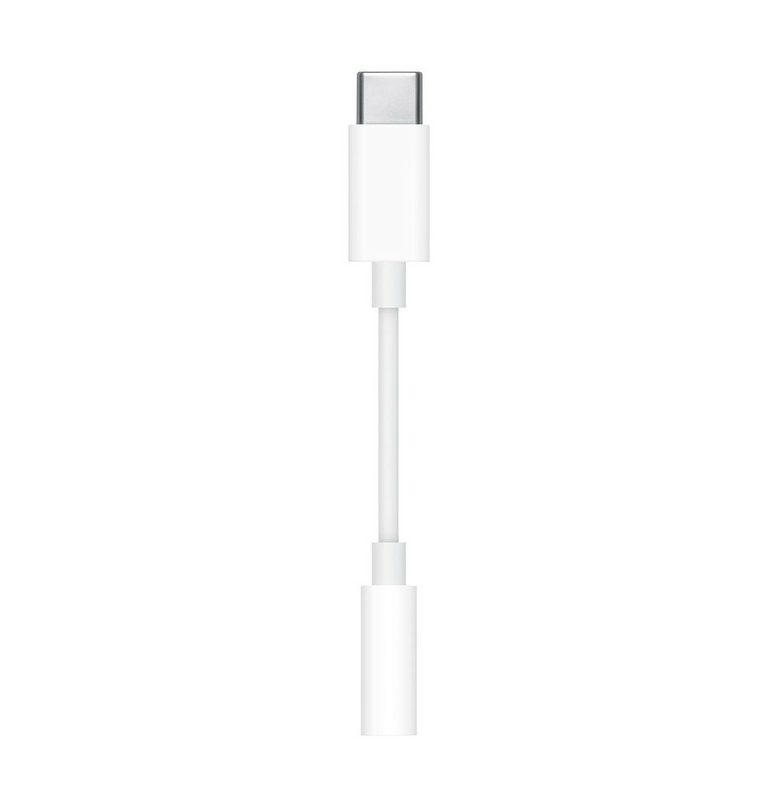 To remedy this, Apple now sells two different $9 dongles that allow you to use a standard 3.5mm headphone plug on the iPad Pro and iPhone. If you buy an iPad Pro, Apple does not sell a single pair of wired headphones that you can connect without a dongle. (And the third-party USB-C headphone scene is still… bad, to put it mildly, although there’s hope in releases from Google and OnePlus.) If you own a fancy pair of Lightning headphones (or even the EarPods that Apple includes with its iPhones that are the default option for many users), there is no way to connect them to your iPad or your MacBook Air. And if you have a pair of regular 3.5mm headphones, and you want to use them with your new iPad Pro and your iPhone, you now have to carry around two different dongles, neither of which is included with either of your $749-plus devices. It’s a mess, and the only real takeaway is that Apple seems to really want to sell you a pair of AirPods, which will let you completely avoid this mess for the low cost of $159. USB-C versus Lightning aside, once you’ve accepted the fact that the iPad won’t share ports with your iPhone anymore, at least all of your MacBook Pro’s USB-C accessories and adapters will work, right? Sadly, no. That’s because, like the 12-inch MacBook, the iPad’s USB-C port is just a USB-C port, not a Thunderbolt 3 port, which is a hardware standard developed by Intel that uses the same physical hardware of USB-C. To put it another way: all Thunderbolt 3 is USB-C, but not all USB-C is Thunderbolt 3. That means monitors like the fancy Apple-approved LG Thunderbolt 3 display may not work with your new iPad. Instead, the iPad Pros support the USB-C / HDMI and DisplayPort alternate mode specs for outputting to a display. These are good standardized specs, but it’s an added layer of confusion when almost all of Apple’s other USB-C computers (including the new MacBook Air) feature the more expansive Thunderbolt 3 spec. Can you plug in USB instruments to use with GarageBand? USB keyboards? Game controllers? The sky could be the limit for the iPad Pro, but a lot depends on what Apple is letting developers do. And the only way to find out may be trial and error. In short, the dream of just unplugging your laptop from a USB-C dongle, plugging in your iPad, and having all of your screens, hard drives, and accessories work may not be as simple as the ports contend. Still, the fact that the hardware on the iPad Pro makes the concept of a plug-and-play swap for a laptop possible is a big step forward for what Apple wants the iPad to be — even if the reality of USB-C is a bit messier than that. Is that worth putting up with a new layer of dongle despair? We’ll have to wait and see.